There are a range of paid opportunities for students and recent graduates to work in partnership with academic staff at within our department. Some projects are internally funded and others are external opportunities for student employment in partnership with staff that come through our environmental consultancy arm BU Global Environmental Solutions (BUG). Survey results - "choosing the website name"
This project will help volunteers find projects that match their interests . It will also help nature conservation organisations see what works well for different sort of projects and people and so inform their design of future projects . 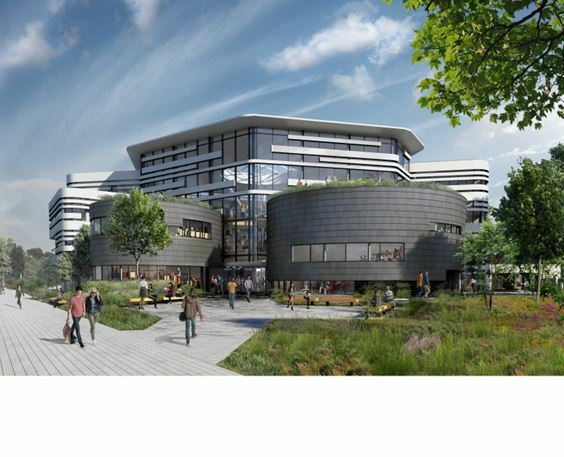 As part of BU's commitment to improve open spaces and enhance biodiversity on campus projects are underway including the placing of bird and bat boxes and bird feeders across campus and monitoring wildlife around new university buildings and landscaping work. Please follow the links to find out about individual projects. As part of the on-going upkeep of BU’s living laboratory, three students - Slavey Kolentsov (BSc Archaeology), Emily Ford (BSc (Hons) Ecology and Wildlife Conservation) and Manu Ronkko (BSc (Hons) Environmental Science) joined Damian Evans (lead) and Ash Pyke on Friday 1st December preparing the area immediately in front of Christchurch house prior to audit for ISO14001:2015 and EcoCampus Platinum 2015. This involved clearing an area of planting of weeds/wild flowers, explaining why plants of exactly the same species are left in wild flower grass areas, but not in areas of formal planting. After two days of Audit (4th – 5th Dec 2017) the University was re awarded both ISO14001:2015 and EcoCampus Platinum 2015. The auditors were really impressed with the level of commitment shown for environmental management at BU and all those engaged in the process at a number of different operational levels. 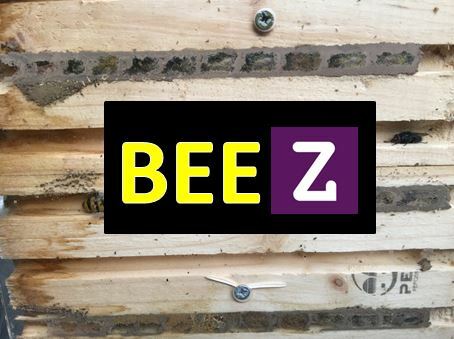 The Bee Zoopla SERT project involved designing a bee friendly artificial solitary bee observation nest that with the scope of the design being used for future projects. The project started with a review of existing solitary bee nests and the literature to design and build a nest box attractive to Hylaeus and Megachilie solitary bees on the Dorset Heaths and out campus. The nests were monitored for success reported on for their level of success and scope for future improvements moving forward to future projects. The project also involved an outreach day where the team communicated the diversity of urban bees to campus visitors. took part in the Bee Zoopla project run by staff from Bournemouth University. I was involved in discussions of how to build the boxes (dimensions of holes for bees to use), and helped to put them out on the heaths and university campus. After surveying the boxes I put together two posters, one explaining the project and the other explaining projects on the campus to promote pollinator activity. 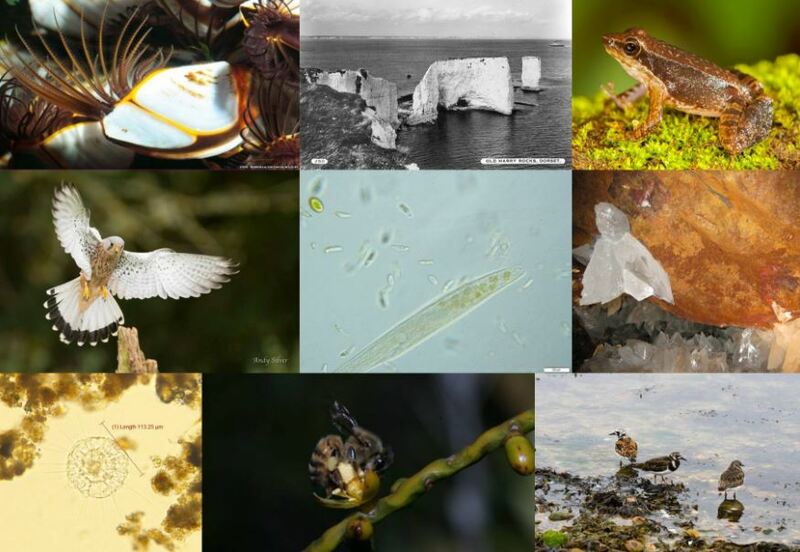 The Wessex Portal is an online community which engages the general public with scientific research in the Wessex area, such as wildlife conservation and environmental sciences at BU, and global research collaboration including conservation work in Africa. The project also incorporates the Dorset Coast Digital Archive (DCDA), a collection of over 20,000 images of Dorset from 1740 to the present day. Working as an administrator for the Wessex Portal and Dorset Coast Digital Archive (DCDA) where I am in charge of public outreach (Social media such as Facebook and Twitter), adding posts daily onto social media networks concerning current biological and ecological news in the Wessex area, as well as sharing images from the DCDA. This project has helped me to develop skills in website management, using and improving the Wessex portal website, and organisation, as social media posts are posted at set times each day. 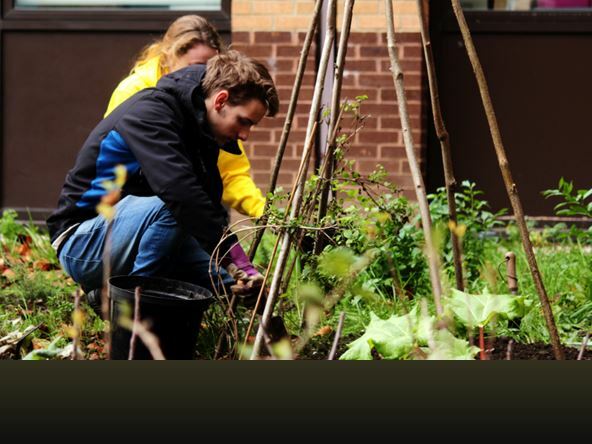 As part of the university’s Biodiversity Action Plan a small team of volunteers led by Damian Evans support projects and programmes that will conserve and, where possible, enhance habitats and biodiversity on the university campuses. During 2016 a small area of land just north of the universities park and stride facility was set aside as a wild flower area, initially tilled then seeded with a cornfield annual mix the area has provided a beautiful new habitat for campus biodiversity. Now in its second year Damian and the team have just collected over 1kg of seed from half the area to re-seed in March 2018. Investigating the effect of grazers such as ciliated protozoa and meiofauna on the toxic cyanobacterium Microcystis aeruginosa. The sample site used is Longham Lakes, Dorset, and samples are taken from both lakes every two week, comparing the composition and size of the grazing communities. 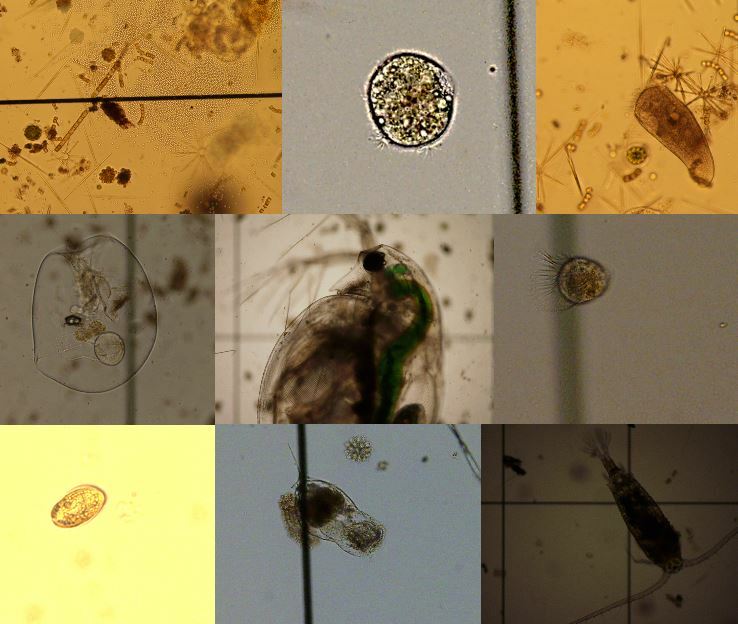 Microcystis can be highly toxic, affecting the liver and gastrointestinal systems in humans, so it is important to control this species in order to prevent potential ecological and medical consequences. I investigated the effect of grazers such as ciliated protozoa and meiofauna on the toxic cyanobacterium Microcystis aeruginosa. The sample site used is Longham Lakes, Dorset, and samples are taken from both lakes every two week, comparing the composition and size of the grazing communities. Microcystis can be highly toxic, affecting the liver and gastrointestinal systems in humans, so it is important to control this species in order to prevent potential ecological and medical consequences. 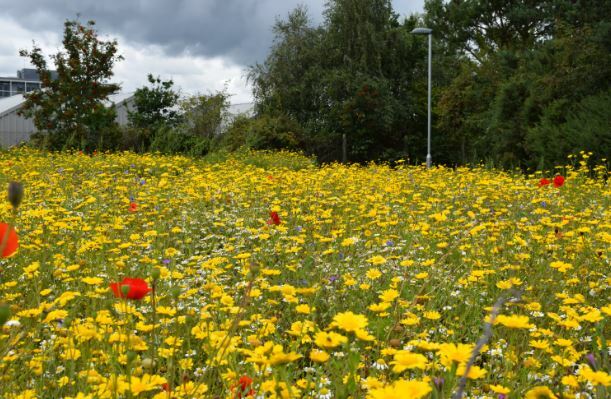 Urban green spaces such as amenity grassland in parks, gardens, verges or roundabouts offer plenty of opportunities for pollinators, provided they are managed correctly. 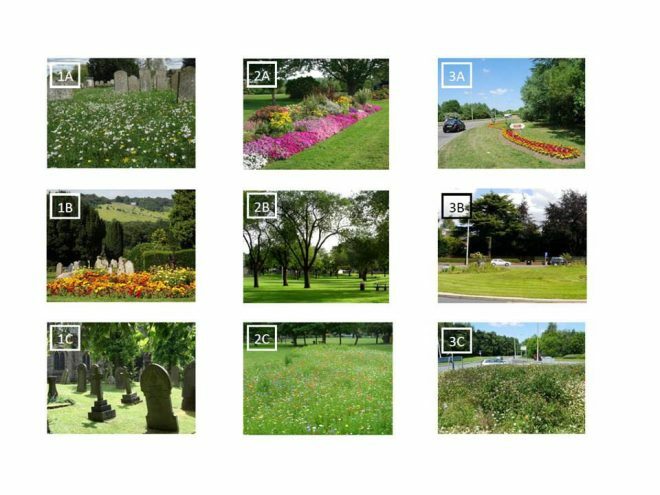 The Pollinator Exchange website, developed by Bournemouth University, provides an interactive database of the latest research, practical guidance and projects connected to pollinators in urban areas. All resources come with a brief summary of their main points, allowing those with limited time to follow recent developments and implement key recommendations. Website users can browse the existing catalogue and also add their own resources, thereby contributing to ongoing knowledge exchange on this important topic. 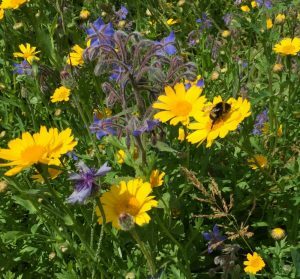 The website provides Local councils, highway agencies and other authorities with clear, evidence-based practical advice to turn our towns and cities into places abuzz with pollinators. "Bumblebee Conservation Trust recognises that urban environments are becoming crucially important to reverse the decline in pollinators. The Pollinator Exchange site will facilitate communication and knowledge exchange between groundsmen and contractors, biodiversity officers and everyone who influences decisions on what to grow, making it a vital resource for all to learn best techniques" Gill Perkins, Chief Executive at the Bumblebee Conservation Trust. Working on the Pollinator Exchange project has been a very rewarding experience. I have been lucky to learn about bees, butterflies and all the other pollinators that are so crucial to our own existence while getting paid for it. From the start, I was trusted to look after the project with a great deal of independence, which has taught me much about project management and improved my skill set in many ways. Working as a part-time university staff member on a topic of interest to me has been the perfect way of supporting myself financially during my studies and I would encourage other students to keep their eyes peeled for these opportunities. Pollinators are important providers of ecosystem services. One possible way of helping to increase pollinator numbers is to provide floral resources for them. There are barriers to planting resources for pollinators in urban spaces based on how land managers perceive the public view of pollinator resources like wildflower beds and roadside verges. The aim of this project is to investigate whether public preferences match up to those that land managers think they hold. Views from the general public of the Bournemouth and Poole area were collected by questionnaires in person as well as nationally using online methods. This was a great opportunity for me to get involved in a live research project. I was able to be a part of designing surveys to gauge public opinion on pollinators, as well as selecting which public sites to survey in order to gain the widest demographic for the results and circulate the survey to groups online. Following this, i was then able to learn more about using statistical software and assist with using statistical techniques to analyse and describe the survey results to a high scientific standard. The project was a good chance to learn relevant skills to my chosen profession and see the steps needed for good data collection and analysis. During the project I gained a wide range of skills including; team work, time awareness, independence, communicating with a wide range of people, collecting data and learning to use it in the right way. All of the skills I gained I believe would highlight to a future employee I am diverse and can articulate myself in a range of different ways because this is what was needed most within this project. This website was developed as a platform for sharing information about science co-creation within our department and to support students wishing to enhance their degree experience and employability by getting involved in co-creating science. The project was inspired by Anita and made reality by Tom, Dominic and Joe. Einar provided the technical mentoring. Tom led on ensuring the clear communication of ideas into practice and project managed the technical administration and visual tasks while Joe provided the main functionality with which projects are managed. Dominic enhanced the overall running of the website as a second phase of the project. This website will enable practioners to see what we do already and foster their engagement with co-creating scientific knowledge and understanding that has practical impact. I'm a Technologist working in the Application Management Services at Capgemini UK, having graduated with a First Class Honours degree from Bournemouth University in 2016. I have a skillset primarily based in digital marketing and design - refocusing on a career in project management and client relations. Having graduated in 2016 from Bournemouth University's BA (Hons) Digital Media Design in 2016, I'm now a web developer working at Mad River, a marketing agency based in Bournemouth.